With each version of the iPhone, the capabilities of the camera improve. For the most part, I use the Apple camera app for photos and other apps to edit them. However, there are a few camera apps that I use, and these are reviewed below. This is a not really a feature review, but how I use the apps. This app has a variety of features. The two reasons I use this app are the self-timer and the ability to create time lapse videos, where hundreds of photos taken in sequence are stitched together into a video. This 11-second video is about 30 minutes-worth of photos. 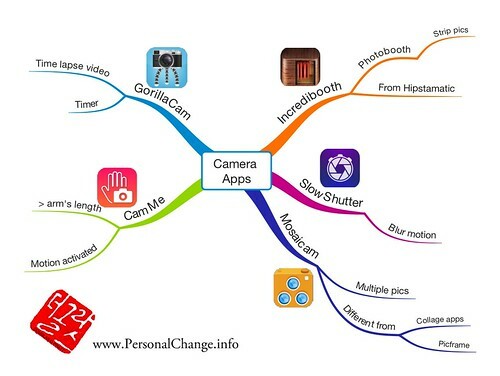 This is useful for taking multiple photos and arranging them in a variety of ways. There are also filters that can be applied. Unlike a collage or pic frame app where you select photos from the camera roll to assemble, all of the photos that comprise a mosaic must be taken in sequence. 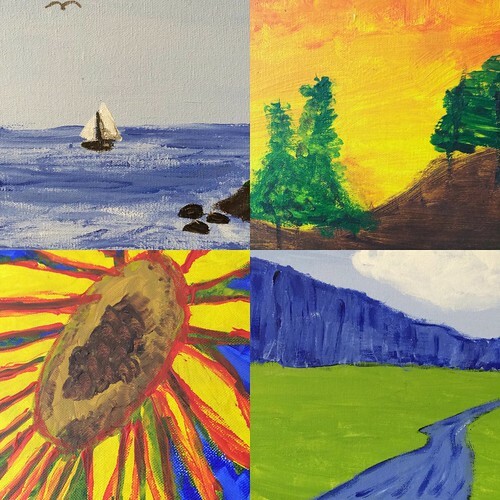 The picture below is of four paintings created by my daughter. 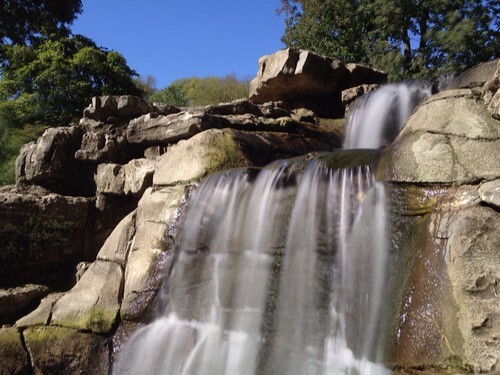 This great app is designed to take photos where motion is blurred (for example, traffic or flowing water). Because the slight bump of the camera will distort the image, it is necessary to use a tripod. 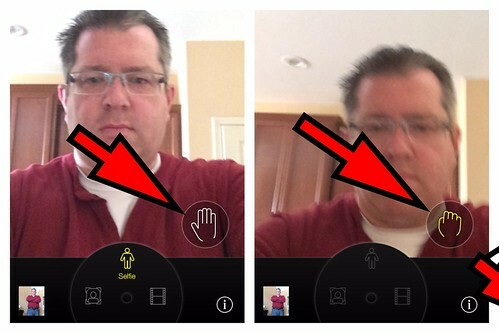 The app also has a self timer to prevent pressing the capture from moving the phone. This app is one of my more recent acquisitions. The app is motion activated, so rather than having to click the shutter with your finger, you raise your hand and make a fist. Three seconds later, the picture is snapped. The photo below shows the two buttons that are displayed. This app is one that replicates the classic photobooth experience where several friends crowd into a small, curtained space for four pictures taken in sequence. Incredibooth is from the makers of Hipstamatic.